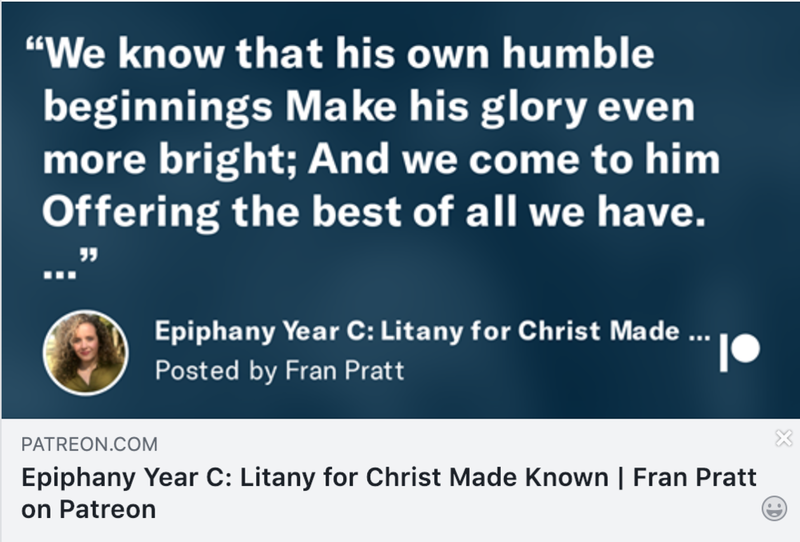 *I know, you might be feeling annoyed, especially if you’re used to accessing the lectionary litanies each week for free. Change is hard. But subscribing to my Patreon isn’t, and it doesn’t cost much! Plus you get my undying appreciation, in addition to the prayers. Thanks for being patient with the means I must use to make this work sustainable for the future. Mary’s Magnificat is part of the Lectionary selection for week 4 of Advent. One of the most beautiful and stirring prayers in scripture, spoken by a young woman of humble origin, accepting a dangerous long-term mission with gratitude, grit, and grace. Filled the hungry with good things. Mercy has gathered bone and sinew. Starting within our own hearts. And its reality will overtake fear. All our waiting and working will be complete. For the gift of Love within us. 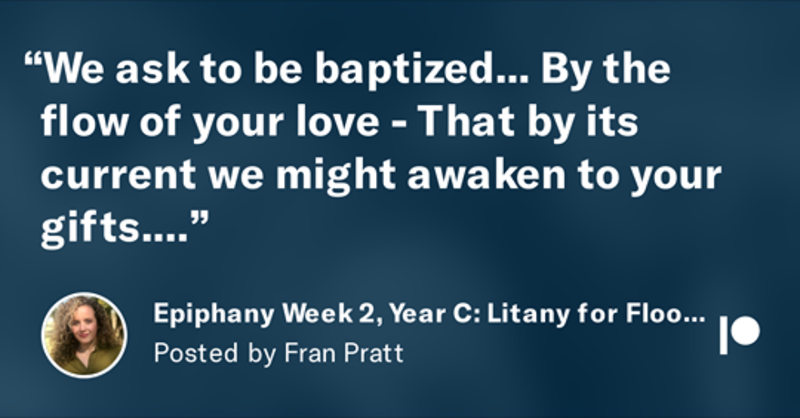 This litany draws from the Lectionary readings for Week 3 of Advent, Year C.
Is that joy is always available. And to the gladness of your presence. Rejoice and exult with all your heart (1, 2)! And has turned away our enemies (1). God renews us in love. God exults over us with loud singing (3). We share in the joy of God. Look, I know week 2 of Advent is usually about peace. But the lectionary passages for the day are so strongly themed with beauty, particularly the Apocryphal passage, that I couldn’t resist. Plus, it’s how we’re interpreting it this year at Peace for our Advent sermon series entitled “Look Up". So, a little beauty in your Advent mix this year. There is the hum of beauty. There is a sheen of value. There is a sparkle of wisdom. There is the glimmer of rebirth. There is the endless beauty of the glory from God (1). And the beauty of God will overwhelm our senses. May we be alert, and looking for it. Our Advent preaching series for this year is entitled “Look Up.” I’ve developed this years Advent litany series to play on that theme, as well as follow along with the Lectionary passages for the season. This one, the first in the series, centers on Luke 21 and Psalm 25. Storms, fires, and violence abound. The people are in distress. We raise our downward gaze. To signs in the sun, moon, and stars (2). Because you are our help. Your paths are steadfast love and faithfulness. Because we trust in you. Our redemption is drawing near (3).